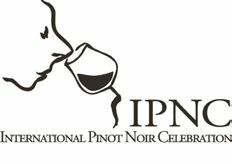 International Pinot Noir Celebration 2015 The IPNC has announced that over 60 chefs from Oregon and Washington will be participating in this year’s IPNC. Visit the IPNC website at www.ipnc.org for a full list of the culinary talent. Also, the Pre-IPNC Dinners for Thursday, July 23, have been announced. These dinners are offered to all pinotphiles, not just IPNC guests. A complete list of dinners and reservation details is available on the IPNC website. If you haven’t obtained tickets for the Full Weekend, do it NOW as a sell out is approaching. Check Out Website: Tastemac.com McMinnville, Oregon, now has 17 urban wineries and tasting rooms, 7 breweries and tap rooms and 34 unique restaurants. Visit www.tastemac.com for a full listing and plan your wine tour on foot. There are a number of lodging options as well so you can park your car and never drive again during your stay. Dirt + Vine = Wine A new book by Dundee Hills wine, travel and lifestyle writer Kerry McDaniel Boenisch recounts the history of winegrowing in the Dundee Hills of the Willamette Valley where she grew up. It is based on stories from winegrowers about vineyard life in the Worden Hill neighborhood during the 1970s and 1980s, and is a revised and updated edition of her previous book, “Vineyard Memoirs.” The book will be released Memorial Day Weekend 2015, and will be available at www.dirtvinewine.com, Amazon, and at Oregon wineries. Big Changes at Clos Pepe Vineyards and Estate Wines. In the past 21 years, the Clos Pepe family has accomplished every goal a vineyard and winery could hope for including being recognized as one of the top Pinot Noir vineyards in the New World, involvement in the development, approval, promotion and defense of the Sta. Rita Hills AVA, scores of 92-95 in every major US wine publication, and highest rated wine tour and tasting in California two years running on both Yelp and Trip Advisor. After the 2014 harvest, owners Steve and Cathy Pepe decided to retire, and partnered with Hall/Walt Wines of Saint Helena, CA. Wes Hagen will be looking for a new winemaking job and life on the Central Coast, while Wine Club Manager, Andrew Turner, will stay until all the remaining wines are sold. Clos Pepe Vineyards has been leased for 15 years by Hall/Walt and Wes Hagen will no longer make the Clos Pepe Estate or Axis Mundi wines. Hall will continue to sell grapes to contracted producers, but the 2014 vintage will be the last for the Pepes and Hagens. The Steve and Cathy Pepe will still live in the home on the property, but will no longer participate in vineyard management or wine production. Current customers of Clos Pepe will not receive unsolicited emails or offers from Walt. Since the announcement this week, Clos Pepe has received over 100 inquiries for wine orders and final tours. Fort Ross-Seaview Harvest Festival This wine and food festival celebrates centuries old Russian heritage and Native American settlement along California North Coast wine country. On Saturday, October 17, the third annual Fort Ross-Seaview Harvest Festival will be hosted by Fort Ross Conservancy and California State Parks. Visitors can explore the restored Fort Compound of the early 19th century Russian settlement and enjoy a locally sourced lunch prepared by some of Sonoma County’s best chefs and paired with wines from the Fort Ross-Seaview AVA. There will also be a grand wine tasting of cool climate Pinot Noir, Chardonnay and other varietals from wineries in the AVA including Del Dotto, Flowers, Fort Ross, Martinelli, Pahlmeyer Wayfarer, Siduri, Tin Barn WesMar, Wild Hog and Williams Selyem. For more information, visit the event website at www.fortross.org, and www.fortross.org/about.htm, and www.fortross-seaview.org. There is a variety of accommodations in the area. Cinema in the Vineyard The Madrones and The Philo Collective partner with Mendocino Film Festival for a weekend of food and wine paired with film at Cinema in the Vineyard. The dates are Saturday May 23 and Sunday May 24. ‘Occupy the Farm,’ ‘Finding Gaston,’ and ‘A Year in Champagne’ will screen along with ‘Shorts: Festival Favorites.” This year, a farmer’s market and wine garden have been added. On Sunday, wineries in Philo will have open houses. The Philo Collective is an esteemed group of wineries located in the heart of Anderson Valley (see below). The Madrones is a Mediterranean compound that is home to four vintners, a rural lifestyle shop, a restaurant (Stone & Embers), several estate guest quarters, a culinary kitchen garden for local produce, serene courtyards and English gardens. Visit The Madrones website for information on seasonal events at www.themadrones.com. For more information on the Tenth Anniversary Mendocino Film Festival, contact Kira Wojack at marketing@mendocinofilmfestival.org. Raptor Ridge Celebrates 20 Year Anniversary Scott Schull founded Raptor Ridge in 1995 with the goal of producing single vineyard Pinot Noir from some of the best sites in the Willamette Valley. Named for its location on a ridge in the Chehalem Mountains AVA, is home to Tuscowallame, an 18-acre estate vineyard acquired in 2000. The winery also sources from long-term growers such as Shea, Meredith Mitchell, Temperance Hill and Gran Moraine vineyards. A Barrel Select, Estate and single vineyard Pinot Noirs are offered along with Pinot Gris Tempranillo and Grüner Veltliner. A méthode champenoise program was launched with the 2011 vintage. Both Scott and Annie Schull are very active in Oregon wine industry organizations. Visit www.raptorridgewinery.com. Pinot Noir Experiencing Price Inflation Like Burgundy K&L Wine Merchants sells and auctions domestic Pinot Noir. The California retailer is selling the 2012 Peter Michael “Ma Danseuse” Fort Ross-Seaview Pinot Noir, rated 100 points by Robert Parker’s Wine Advocate and 98 by James Suckling, on the website for $449.99 (ouch!). This is the highest retail price I have ever seen for a newly released California Pinot Noir. An auction lot of 2002 and 2004 100 Point Marcassin “Marcassin Vineyard” Sonoma Coast Pinot Noir has a starting bid of $515 on the K&L website. Scores and scarcity drive these crazy prices.